The Kingdom of Bhutan is one of the only places that has remained blissfully untouched by the rest of the world. Situated in the Himalayan Mountains, Bhutan’s rivers are pure, its mountains magical and the landscape pristine. The people are gracious, the culture is rich and spirituality is prevalent. Gangtey Lodge invites you to discover this unique destination in Asia by sharing the top three reasons to travel to Bhutan in 2018. The Black-necked Cranes of Bhutan are the most mysterious and the last of the 15 species in the world to be discovered. They are endemic to the Tibetan Plateau and migrate to lower altitudes, in autumn and winter (usually from end of October – February / March). Phobjikha Valley is one of the best places for bird-lovers to spot this amazing species with over 10% of the world’s total population gathering there. The Black-necked Crane is revered in Bhutan as a symbol of longevity and the annual migration is a cause for great celebration, as residents mark the passing of another year against the arrival of these famously long-living birds. 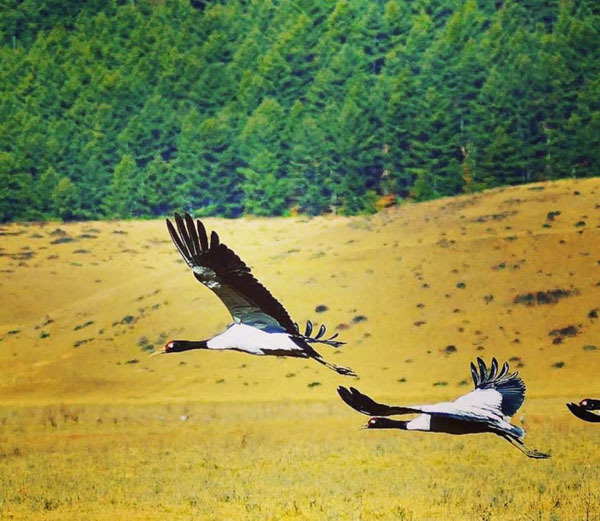 Insider Tip: The annual Black-necked Crane Festival is held every year in the Phobjikha Valley on November 11. 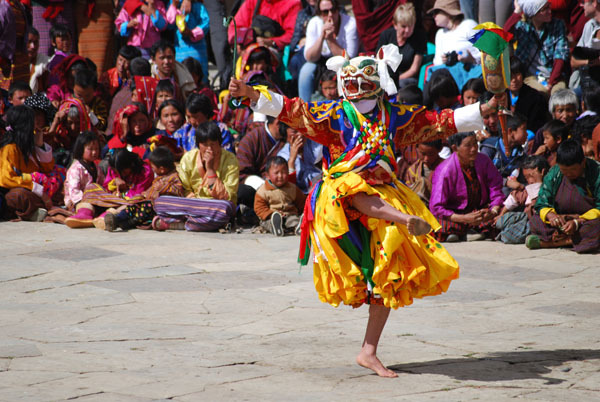 Taking place annually since 1998, the festival features cultural and mask dances, short plays about the cranes and their environments in the valley as well as exhibitions. Travelers can visit the Black-necked Crane center which performs invaluable work in ensuring the protection of their roosting areas, educating the locals & tourists of the importance of the cranes to the valley and in providing care & shelter for an injured Black-necked Crane, Karma. Just down the hill from Gangtey Lodge Bhutan, the Morning Prayer at the monastery takes place every morning from 05:15-06:15 (except Sundays). Prayers are offered in the early morning as the Buddhists consider the body and mind to be most pure at this time of day. After the prayer session, guests are invited to accompany one of the monk teachers in their morning rounds. 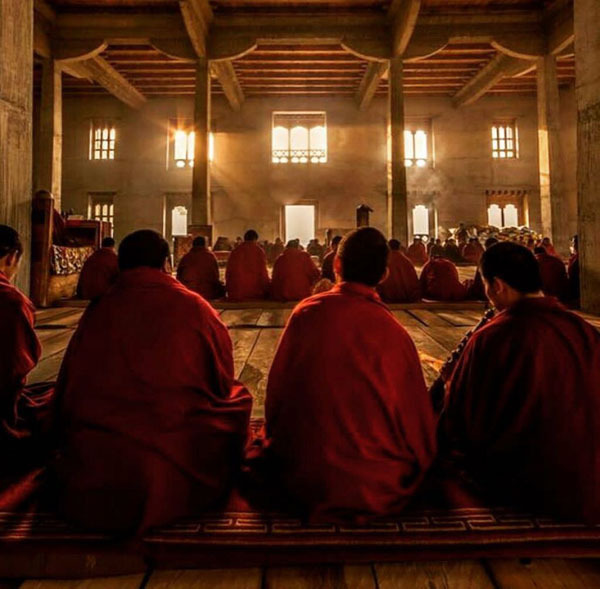 This opportunity to converse with the teacher while the monk novices are getting ready for their studies is truly unique. The Evening Prayer takes place from 6:30-7:15 each night. Visitors can combine a 5:30pm meditation class with the evening prayer. Gangtey Lodge Bhutan provides an exclusive tour for guests which allows them to discuss any topics you wish with the monks. At the end of the prayer, guests will receive a personal blessing from the Tulku (a reincarnated Master) and an exclusive tour of the Monastery. Insider Tip: Guests can also enjoy an exceptional private breakfast or lunch experience within the Monastery. 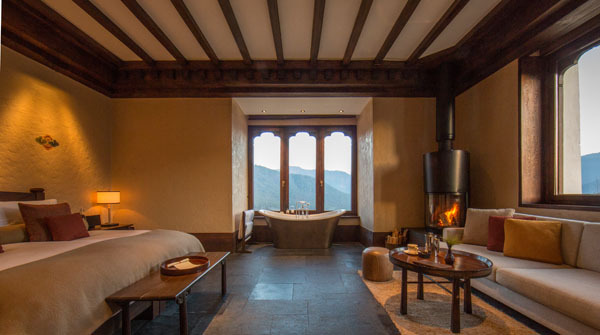 ​At the end of a day of adventure and discovery, guests are invited to experience a Bhutanese hot stone bath, a traditional Bhutanese Dotsho, at Gangtey Lodge Bhutan’s new Hot Stone Bath House. 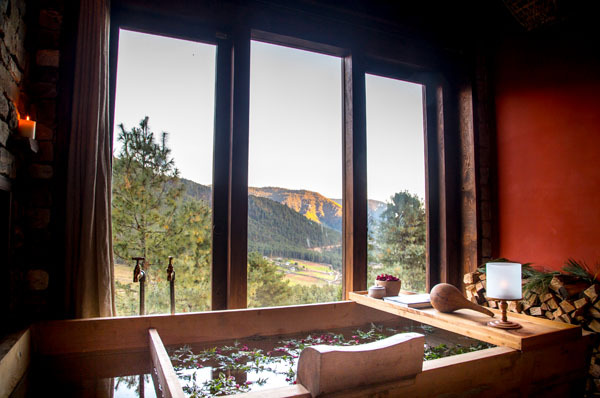 The massage will be followed by a Traditional Bhutanese hot stone bath which is meticulously prepared by heating river rocks over an open fire and then sprinkled with local medicinal plants and herbs from the valley. It is believed that the heat from the water, the minerals released from the rock and the local herbs all combine to produce medicinal benefits for joint pains, stomach disorders, arthritis, hypertension and many other minor diseases. Insider Tip: Request a glass of champagne to enjoy with your views of the Gangtey Valley below.